A charming chalet resort in the heart of the Italian Alps, on the second largest ski domain in Europe. Located in Italy’s Piedmont region at an altitude of 5250 feet, in a beautifully preserved natural site, this new Club Med Resort with it’s charming chalets promises a warm and friendly welcome and a genuine Italian Dolce Vita atmosphere. In the Piemont Region, an authentical and charmng resort with it clusters of chalets. In the heart of Europe’s second largest ski domain – Via Lattea – this prestigious resort hosted the ski jumping and cross country skiing events at the Turin winter Olympics in 2006. 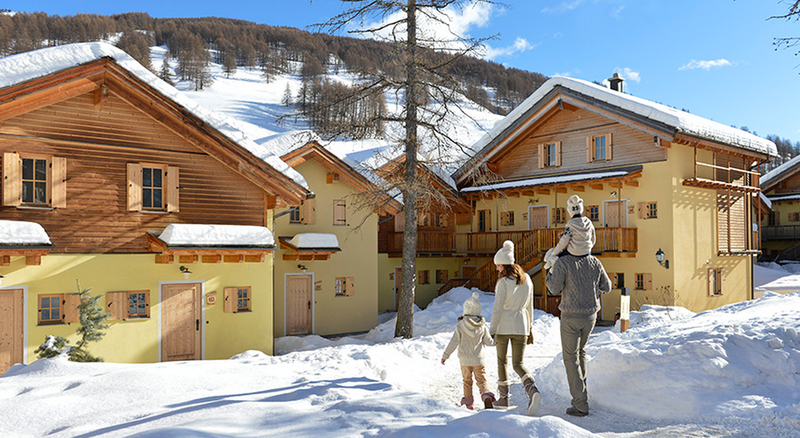 20 clusters of chalets around the Resort center give pride of place to premium family accommodation. An ideal vacation choice for families, with children’s club facilities for babies to teens, so that parents can make the most of the Italian way of life. 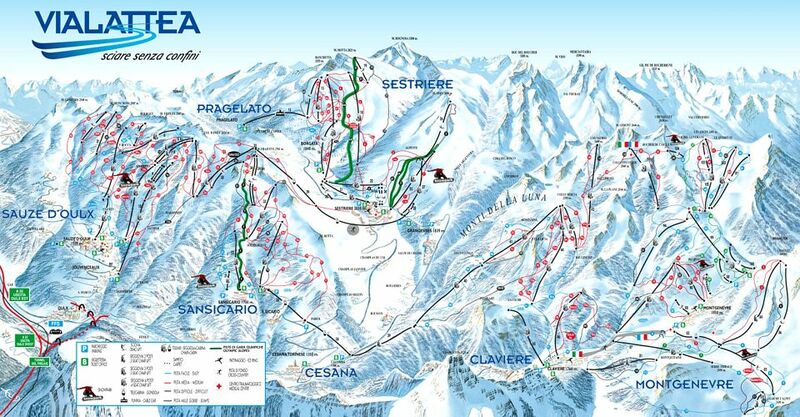 The cable car that runs from the foot of the ski room takes you in just 4 minutes to the ski slopes of Via Lattea and Pragelato. Choose from classic rooms and suites, in single, double, triple or quad occupancy. Our bars and restaurants cater for every palate: for breakfast, lunch and dinner. Unlimited quality drinks and snacks throughout the day available from the bars, except champagne and VSOP brands (available at extra cost). Club Med evening entertainment, night bar or nightclub. Each Club Med Resort offers five days of group ski and snowboard classes from beginners to advanced level, run by professional local instructors. The hotel has an indoor swimming pool and weight room for guests use. Facilities include a Turkish bath, sauna, and 7 treatment rooms. Full range of bueaty treatments available (fee). At your disposal the whole time. This resort welcomes children of all ages, with supervised activities for all age groups, plus many group functions. International flights available to Turin. There are no scheduled transfers but private shuttles are possible. Rental cars are another practical option for this destination.